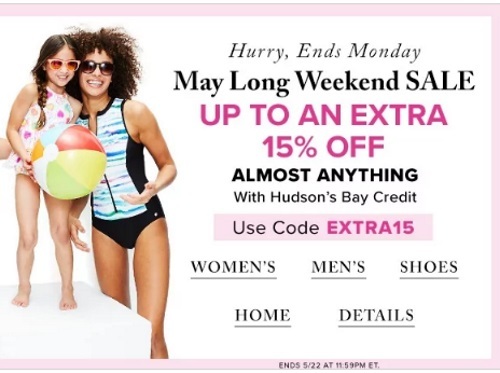 Hudson's Bay is offering up to an extra 15% off during their May Long Weekend Sale! Offer applies on almost anything with your Hudson's Bay credit. Enter the promo code EXTRA15 at checkout. Offer ends Monday, May 22, 2017.